Let’s get the obvious out of the way first. You know that learning from first-hand experiences of others makes a difference. I strongly believe that an organization’s most valuable asset is the knowledge and expertise of its employees. Unfortunately, it is one of the worst managed and underutilized assets. Companies today mobilize just a TINY fraction of the knowledge and expertise of their employees. How much work is being duplicated, because one department is not aware of that another department is working on the exact same problem? How many sales opportunities are missed, because one sales rep does not know that another sales rep has the critical piece of information to close the deal? Let’s face it: Companies waste lots of money due to lack of sharing, duplicate work, and isolated silos of information. How can you overcome the silo effect? How can you leverage tribal knowledge to solve these issues to improve marketing and sales performance? 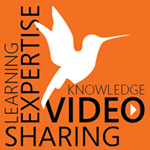 Social learning and knowledge sharing software are the key ingredients. Let’s see why. How many times do new employees come on board and sit through training sessions that cost a lot of time and money but don’t give you the results you want? Think about it: where did you learn the real lessons in life – in the classroom or on the playground? When an enterprise establishes a lively, organic, and intuitive social sharing platform, people learn faster and better by learning from each other. A knowledge sharing center allows new hires to be a part of the action right away. They know what’s trending and what’s working – whether it’s slick new marketing collateral or some other effective sales strategy. Also, they get to see the name and face of go-to people in the organization who have the experience and knowledge to get tasks done efficiently and effectively. Beyond just new hires, a central knowledge hub greatly improves your company’s sales and marketing efficiency. People aren’t going to re-post old news since everyone’s on the same page at the same time. So your teams won’t be reinventing the wheel over-and-over again. This not only preserves what works well, but also stimulates truly new initiatives. When everyone is visible on a single, unified platform, teams are no longer dispersed. Communication flows rapidly and transparency increases thus avoiding the silo effect where information gets bottled up without being shared. This all leads to improved and quicker decision making with all parties staying up-to-date in real-time. In the traditional pyramidal organigram, only top managers end up selecting, filtering, and disseminating information with limited feedback. In knowledge sharing, true leaders appear because they get likes and comments based upon merit and performance, not position. But the goal isn’t competition, but rather to gather and share knowledge for the benefit of the organization as a whole. In this way, a knowledge sharing platform builds team spirit and improves collaboration. A social learning platform’s transparency gives you another key advantage: tracking your tribe’s progress and morale. Is conversation lively? Are they celebrating victories or pointing fingers? In any case, you have instant insight as to the overall health of your team. Instead of waiting for problems to appear in decreased sales numbers, you can spot areas of need early and address them proactively. Knowledge sharing software is already available that allows you to unlock the full potential of your team. People can share success stories and materials. Feedback promotes social interaction, and every team member has access to the same information instantly. New hires ramp up quickly, and overall efficiency improves dramatically. Interested in knowledge sharing software where marketing and sales share best practices? Contact us today.